Successfully Added CHUWI Hi9 Air Android Tablet PC - MT6797 X20 Deca Core 4GB+64GB 10.1-Inches Screen Black EU Plug to your Shopping Cart. Runs on advanced Android 8.0 operating system, along with MTK 6797 (Helio X20) Deca Core CPU, delivers the fast and stable, smooth and fluent experience. 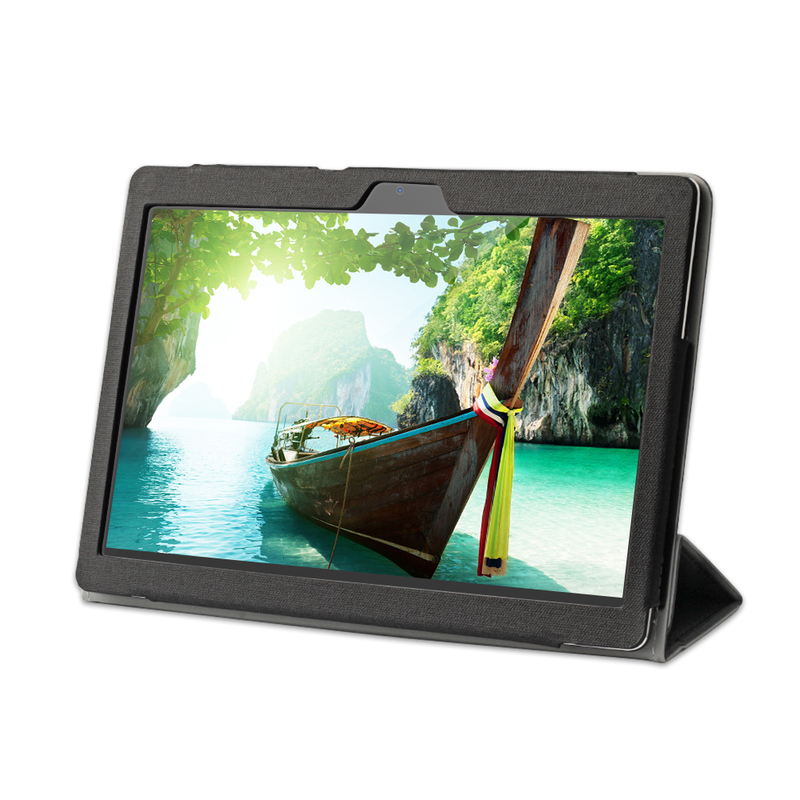 With a 10.1-inch IPS capacitive screen, 2560x1600 high resolution, brings a vivid and immersive vision. 4GB RAM + 64GB ROM plus 128GB TF expansion storage(not included), satisfy your demand for storing apps, videos, games etc. 5.0MP Front Camera + 13MP Rear Camera, shoot clearer photos with sharp detail and bright color. The full 10.1" screen with 2560*1600 resolution offers a realistic viewing experience at the end. It feels completely sharp and immersive if you surf the web or play games. 4G network and double wifi brand that you can share all your time online with your friends and families. Enjoy clear video calls and fast internet access. The advanced Android Oreo operating system comes with google play GMS certificate. And authorized Widevine L1 allows you to download encrypted copyright files, Netflix videos and etc. Deca-core 64-bit processor with Cortex-A72 and high specification T880 GPU graphics can handle more demanding applications, So you can easily decode 4K videos and play games without problems. High-spec graphics processor T880 MP4 is designed for complex graphics programs. Up to 780MHz frequency, You can run heavy games smoothly, easily decode 4K videos, and provide stunning ultra-high definition visual experience. 4GB of RAM in Hi9 air perfectly handles multitasking; along with 64GB of ROM and supports up to 128GB of TF expansion. Hi9 air has built-in GPS, AGPS and GLONASS positioning, which allows precise and instant world navigation. The AGPS also helps position where there is a weak GPS signal, such as interior, elevator or basement. Maximum speed 2.4G/5G dual-band WiFi supports 802.11 a/b/g/n/ac protocol. Therefore, 5g of the signal provides a stable connection since there is less signal interference. The instant switching between wifi and 4G gives you a better web surfing experience. Hi9 air packs a 13MP rear camera with LED flash, delivering a clear and satisfying photographic experience even in complex lighting conditions. In addition, a specially optimized 5MP front camera makes clear video calls and selfies. Thanks to the 8000mAh polymer battery and the Google vital signs, the Hi9 air has a long battery life during the day. Maintains 85% of the battery capacity even after 1000 charging cycles.